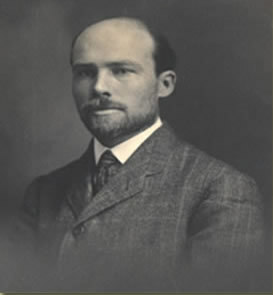 In 1903, the first professor of biology and later "lecturer of forestry" at Lehigh, Robert W. Hall, offered a course in forestry to students at the request of the Civil Engineering Department. Hall's forestry course prompted him to establish an arboretum where "all sorts of trees could be quickly observed and where the various forestry procedures; seed beds, transplant beds, etc., could be demonstrated." The University finally obtained land for Hall's arboretum in 1908. Originally located above the southern edge of Sayre Park and the top of the mountain, the eleven-acre arboretum was populated primarily with "native species." A demonstration tree plot was later added. Interest in forestry waned over time, however, and the arboretum blended into the rest of the forest.